Through no fault of her own, Queen Elizabeth Wake has been fired from more jobs than most people ever apply for. After ten years and one last firing, Queenie figures there’s only one last thing she could do to make her life a complete waste: return home to North Star, Texas. The Wake women still carry around their murdered mother’s notorious reputation, Queenie’s sister is looked down upon for having a baby with North Star’s golden boy (fifteen years ago!) and Queenie herself was dumped by the son and heir of North Star’s nobility in favour of a more suitable match. Still, getting a job cooking last meals for Shine Prison’s death row inmates means she’ll finally get to run her own kitchen. Written with wit and humour, Nowhere But Home is an odd mix of homey and disturbing. The picturesque Texas town, the July 4th parade, the mouth-watering descriptions of the food (the food!) had me seriously reconsidering my vow to stay away from places where temperatures commonly go above 30 degrees Celsius. The town’s enthusiasm for its football team is charming and naïve; the people are handsome and their children beautiful. Shame they spend so much time in anger and regret. Queenie returns to a town which on the surface is serene and beautiful. She thinks she’s the only one who is a mess but in the process of sorting out her own life she realizes that she’s not got a monopoly on misery. Until she lets go of her anger to make an effort to understand the motivation of others, she cannot begin to heal what ten years moving from city to city couldn’t heal, either. I found Nowhere But Home slid into sentimentality a bit too much for my taste, and I find it a bit cringe-worthy when fully grown women behave like gossiping teenagers (does that really happen? Am I missing something?). But the writing is clean and crisp, the humour fresh, and Queenie and her family are truly likeable characters. I remain troubled by the role that Shine Prison plays in this novel, however. Queenie cooks in the Death House kitchen with the help of two convicts (a father/son duo), and while it was clear from the beginning where this plot line was going to end up, I felt that this was a scenario needing deeper examination. Queenie and her friend Shawn are deeply affected by their work in the Death House, but it isn’t clear if they are upset by the inmates’ crimes or by the executions committed there. Maybe Queenie and Shawn themselves, are unsure (they refer to the food as ‘murderer meat’, are they covering up their own moral quandary or is it simply tasteless humour?). Perhaps this book is the wrong venue and genre for a deep moral debate around capital punishment to be raised, but I found it so strange that such an unusual situation be left, shall we say, hanging. Truth is, I can’t decide if my discomfort is a result of my own deeply held beliefs about capital punishment, or whether I have picked up on the ambivalence of the characters. It has, however, kept me in a happy state of deconstruction for days. I’m going to give this one four stars, with extra kudos to Liza Palmer for having the courage to place part of it on death row and not treat the inmates as if they are sub-human. Liza Palmer is the internationally bestselling author of Conversations with the Fat Girl . Conversations with the Fat Girl became an international bestseller its first week in publication, as well as hitting Number 1 on the Fiction Heatseekers List in the UK the week before the book debuted. Conversations with the Fat Girl has been optioned for series by the producers of Rome, Band of Brothers and Generation Kill (http://www.lizapalmer.com/aboutliza.html). Also, check out Liza’s truly entertaining blog at Liza Palmer. 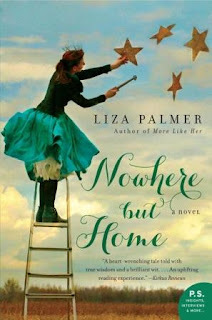 The Giveaway: The publisher is giving away one physical copy of Nowhere But Home to one of you gentle readers. If you'd like to win some free dead trees (i.e. 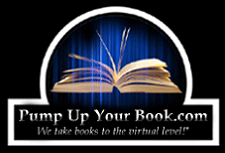 a book), sign up using the Rafflecopter widget below. Jessica is a tough reviewer, so if she says it's good, it damn sure is. 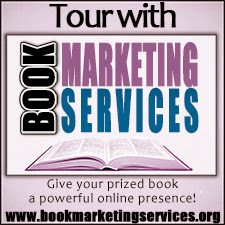 Don't miss out on the opportunity to get a great book--and for free, no less! Giveaway ends April 25, 2013. Open to U.S. and Canadian residents only. Wow, sounds like this novel was challenging for you in some way but rewarding in others. Thanks for taking the time to read and review it for the tour! Good insight by the author makes this a "must read" for every woman who ever considered herself less than equal to the "mean girls" type of attitude during her formative years.